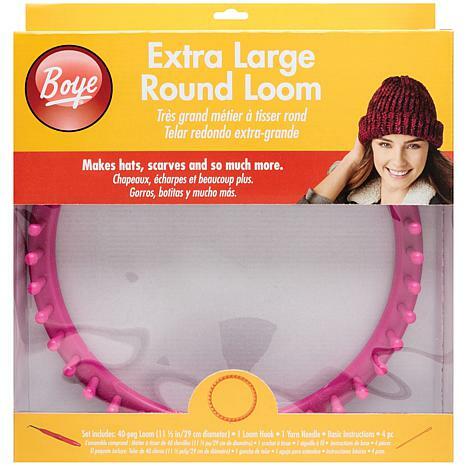 BOYE-Extra Large Round Loom. 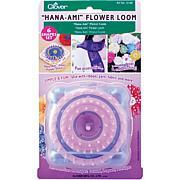 This can help you to create beautiful and fashionable hats, bags, scarves and more! 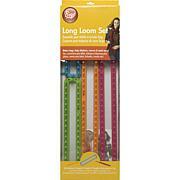 This package contains one 11-1/2 inch 40 peg loom, one loom hook, one yarn needle, and basic instructions. Imported. I am still currently working on my own slouchy beanie. 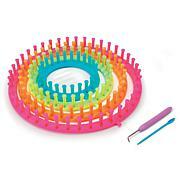 Since, this is my first purchase for something in the crafts section I am really a newbie. 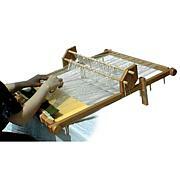 This extra large round loom is pretty sturdy and not flimsy at all. It came with a starter pamphlet, needle and hook. I am very pleased and happy with this purchase since, I was able to get it at a good price through HSN. If there are any left I would recommend this one if you are planning on making a slouchy beanie.